Rack of lamb is a rich, flavorful cut to make. 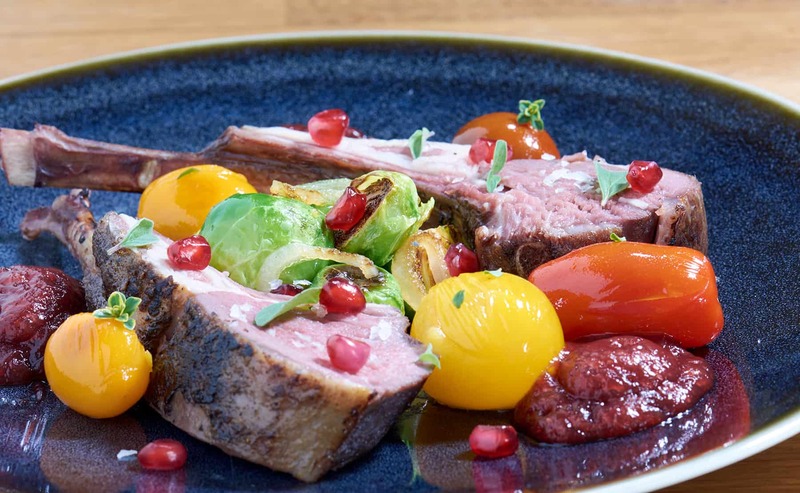 Here I pair it with a zesty pomegranate sauce that cuts the richness while complimenting the strong lamb flavor. I also serve it with some Brussels Sprouts to bulk out the meal while cutting the richness of the lamb. This recipe is enough for 4 if you don't need much meat, otherwise add an additional rack. I prefer my lamb cooked to 131°F (55°C) but many people who like lamb on the more rare side drop the temperature as low as 125°F (51.6°C). Make sure not to cook it for more than 2 hours if you are below 130°F (54.4°C). I used my torch to sear it, but you can always use a pan or a grill. 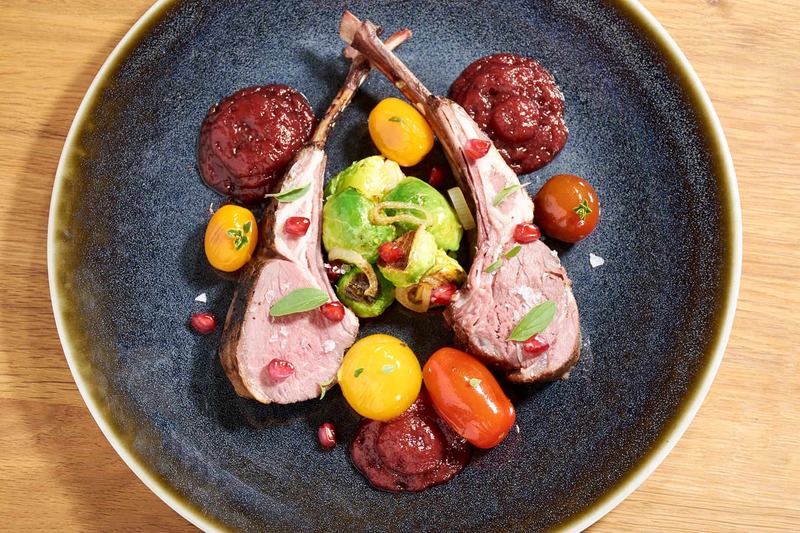 If you would like more information about the modernist techniques, ingredients, and equipment used in the sous vide rack of lamb with pomegranate sauce recipe you can check out the following. Lightly salt the rack of lamb. Combine the coriander and cumin in a bowl then sprinkle over the lamb. 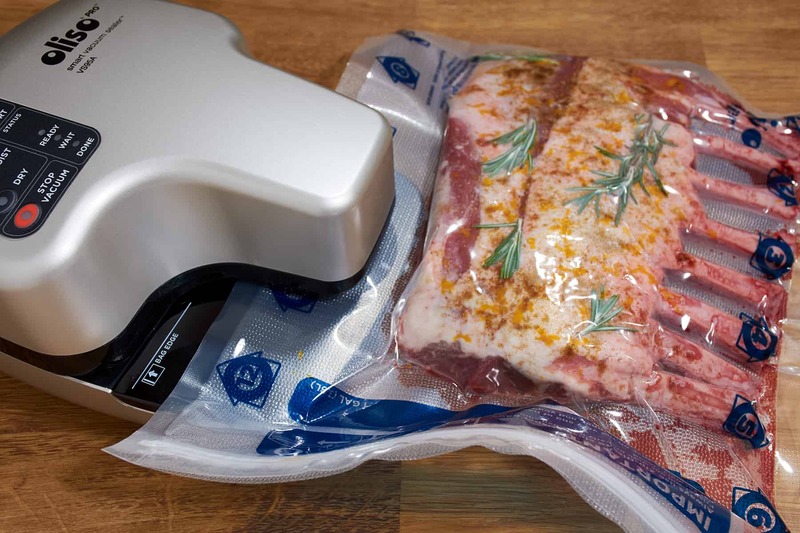 Evenly spread the orange zest over the meat then place the lamb in a sous vide bag with the rosemary. Seal the bag and cook for 2 to 4 hours. 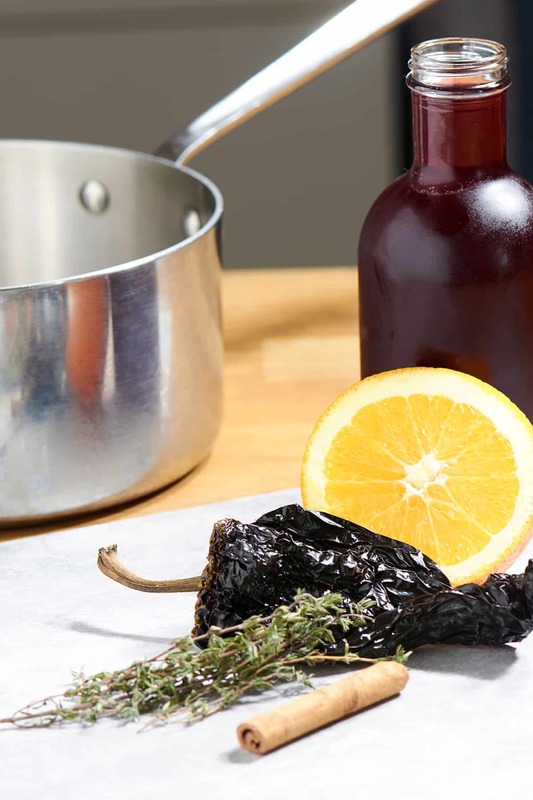 Put the pomegranate juice, orange juice, thyme, cinnamon, and ancho pepper in a pot over medium heat and lightly simmer for 20 to 30 minutes, until reduced and thickened. Remove from the heat, discard the cinnamon stick and ancho pepper then stir in the honey. The sauce can be made a day or two ahead of time and refrigerated, or left on the counter for an hour or two. Cut the ends off of the Brussels sprouts and discard them. Cut the Brussels sprouts in half length-wise. Heat the olive oil in a pan over medium to medium-high heat. Add the Brussels sprouts and cook, stirring infrequently, until the Brussels sprouts start to brown. Add the shallots, garlic, thyme, and water to the pan then cover it and let the Brussels sprouts steam until tender, 5 to 10 minutes. Remove the Brussels sprouts from the pan, toss with the lemon zest and squeeze the lemon over the top. 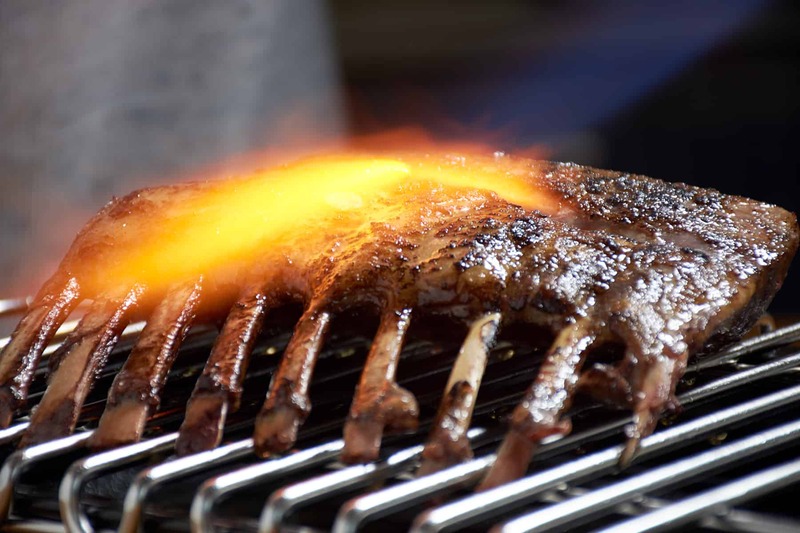 Remove the cooked rack of lamb from the bag, discarding the rosemary, and dry the meat off well. Quickly sear the lamb then cut it into serving sections, usually one or two ribs. Place a few sections of lamb onto the plate. Arrange the Brussels sprouts and poached tomatoes around it. 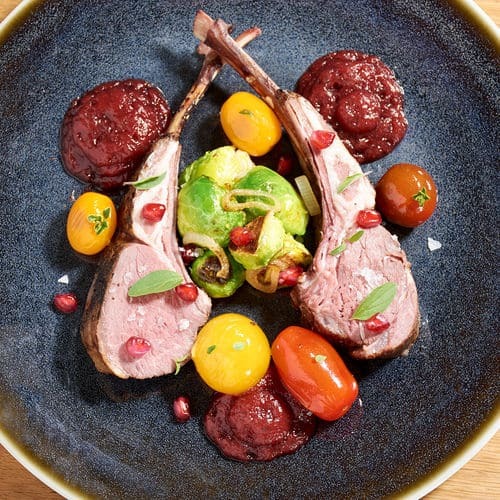 Drizzle the lamb with the pomegranate sauce. Add some pomegranate seeds and oregano leaves to the lamb, then sprinkle with some smoked salt.